It seems lately everyone in my house has been too busy to have dinner, so it’s been pretty much fend for yourself night, every night, which is nice, but sometimes it’s nice to make a family dish. I miss sitting together as a family and eating together. I think that it is so important. Time goes so quickly in life and I think it’s a good foundation to keep the relationships and communication alive. It seems everyone rushes in, says hi, and then off they go. My step-daughter goes to work or is out with friends and my Husband wants to work on his car or works late. One thing that should be routine is dinner. As a kid, we always ate dinner together, whether my Mom made dinner or we would order out. Maybe that’s old school, but I still think it’s important. Well tonight’s recipe I made last week on one of my fend for yourself evenings. 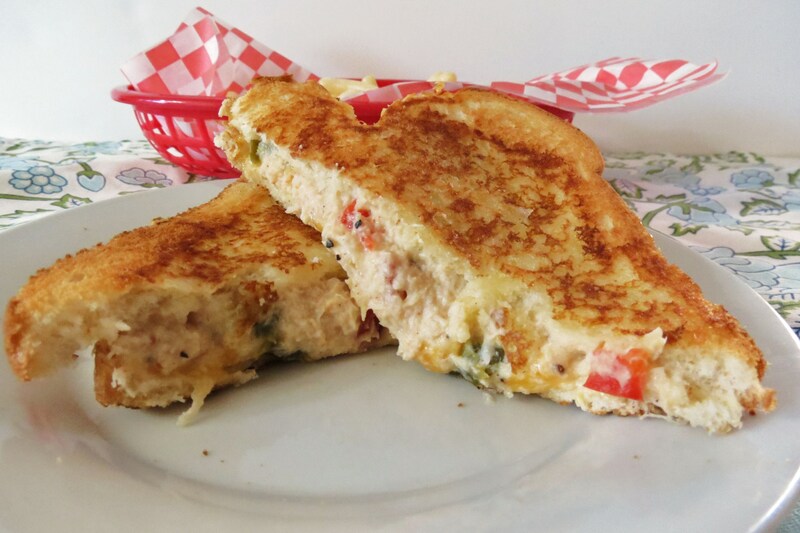 I wanted a sandwich, which shouldn’t surprise you, that would be different than my normal, quick and easy to make, so I came up with my cheesy crab melt. This was the first time I have ever had a crab melt. It tasted just like a crab cake. So if you like crab cakes than this is the sandwich for you. Whats even nicer is it can be put together in a matter of minutes, rather than making crab cakes. However, one day, I plan on making my own crab cakes, that’s something I haven’t accomplished yet. That’s on my cooking bucket list along with several other things. I have recently been on a crab kick lately since I made my crab wontons back in January. I buy the cans from Trader Joe’s, and its real crab meat, not imitation crab which I don’t like. I think imitation crab has no flavor, but this crab does. I’m wondering how it would be plain dipped in butter? In a small bowl, add crab meat, mayonnaise, Cajun Creaole Seasoning, bell pepper, celery and onions. Mix until combined. Season with salt & pepper to taste. To make sandwich, Butter top and bottom piece of bread, add crab salad to slice of bread, top with cheese. Place sandwich on a griddle and cook until cheese is melted and bread is browned. My dinner timer is going off. Have a great day!!! Mmm I think we would love this 🙂 sounds great! Nothing wrong with a can of beans for dinner. 🙂 I’ve been known to do that at lunch and my co-workers think I’m strange. My family always ate dinner together when I was a kid and I think it was so crucial! Whenever I use crab, I always get it from TJ’s…it’s the way to go! Covering it in cheese…swoon. Ahhh the cheese, so perfect on any sandwich!!! This was the first time making a crab melt and I was pleasantly impressed. 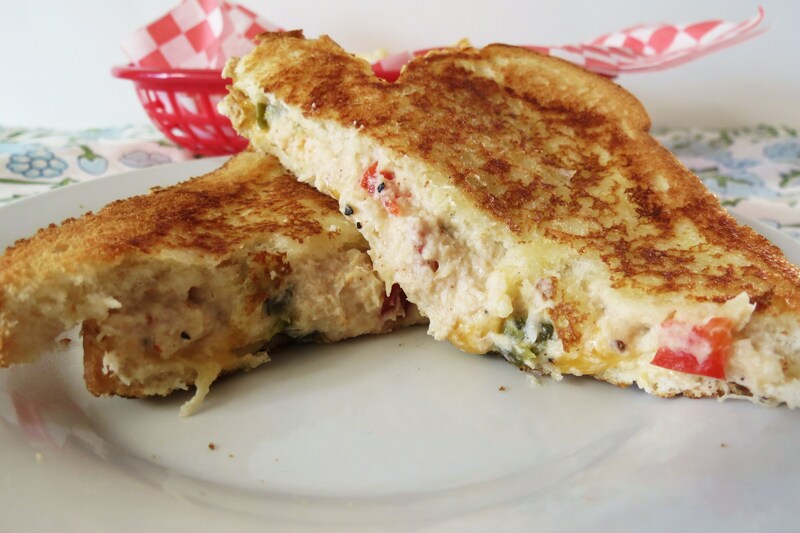 It gives it a nice spin from traditional tuna melts. This sounds like one of the best things ever – and to make it easier, I’d probably put it in my panini press. Once my husband and I are on the next phase of Dukan, we’ll definitely be devouring a few of these. Thank you! The panini press would be perfect for these sandwiches, just don’t squish them to much unless you have a harder bread. 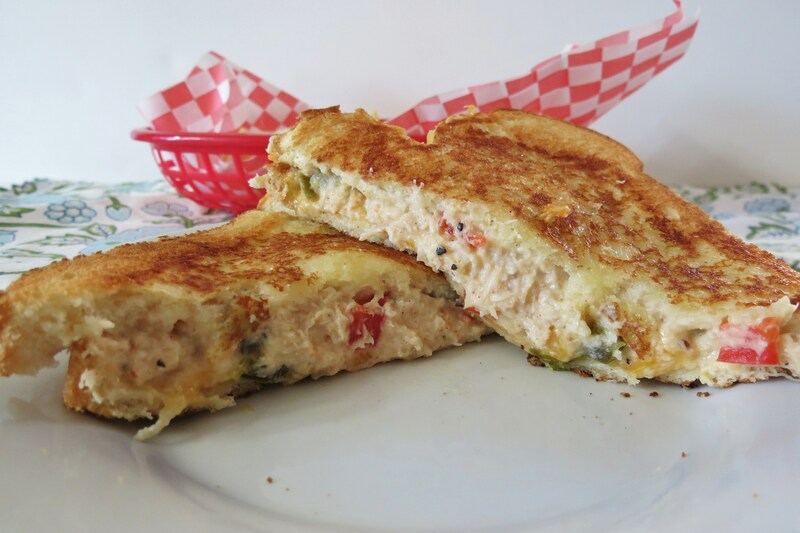 This is a great idea, instead of tuna having crab melt, I love crab this looks delicious! Oh but I bet whatever kind your having there going to be good!!! And so are crab melts. Because yum! lol, I couldn’t agree with you more! I agree with you, family meals are important and time does go by incredibly fast. It seems like yesterday when my kids were little and now my youngest has four little kids! That said, I think this sandwich looks like a great consolation prize and seeing the photos may just drive some of them home for dinner!! Cheers! I would trade the love of my life, Henry the chihuahua for that sandy right now! Yum! This sandwich is genius! I’m such a huge fan of crab cakes so I know I would love it!!! You are right, family dinner time is important. 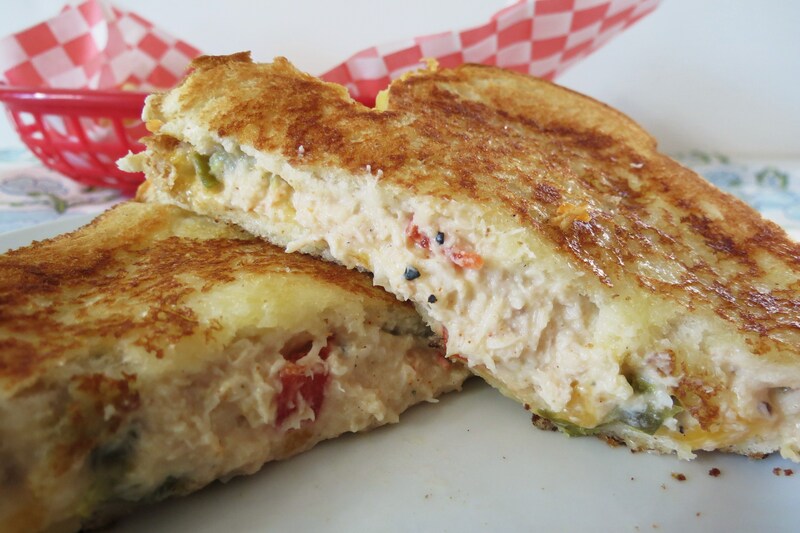 And that crab melt looks awesome. Love the food basket in the background. My wife recently bought some of those and we love them. Oh man this looks good!! We always have canned crab meat in the cupboards I’ve never thought of doing this.